Planning a birthday party for a child is much different today than it was just a single generation ago. While parents back then might have planned a theme party and gotten hats, a cake and maybe some balloons that fit the character or concept of the celebration, today’s parents take it to a whole new level. Thanks to websites like Pinterest and party planning blogs, parents can customize everything from personalized water bottle labels to theme-focused treats. Activities are popular too, such as getting a photo booth rental in Oregon, which includes fun photo both props, backgrounds and more. While some of the decorations and activities can be challenging to pull off or track down, it is easy to rent a photo booth in the Greater Portland area if you go through SnapZone Photo Booth. Package deals range from basic to premium and there are lots of fun extras that can be added as well to create a truly memorable experience. 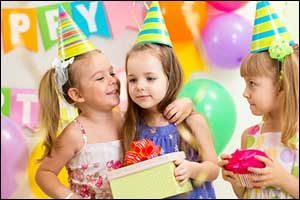 If you are planning a child’s birthday party in Portland, Oregon, a photo booth rental might be just the thing you need to create an interactive and exciting activity. Photos are a lot of fun and kids get excited about trying something new. 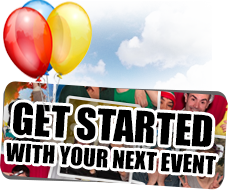 You can customize the photo booth props that are used during the picture-taking part of the activity and you can also customize the printed photos themselves to include information about the party and the date of the celebration. Some people use the photo strips as extra party favors, providing everyone with a fun memory of themselves at the child’s birthday party. Fun for adults and children alike, a photo booth rental in Oregon is a cost-effective way to record memories from the day without hiring a photographer or spending half of the party trying to capture it all yourself. Kids can easily become over-stimulated with too many games, dressed up cartoon characters and dozens of unfamiliar invited guests. One way to get everyone focused on the fun is to rent a photo booth and let everyone enjoy seeing the photos as they get taken on the photo booth monitor. Additional photos can be printed, shared and even put on a private gallery for parents to look at and enjoy. 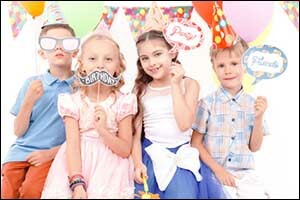 Birthday parties aren’t the only occasion that can benefit from a photo booth rental. 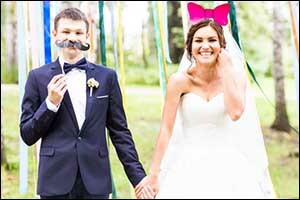 In fact, a wedding photo booth is perhaps the most popular use for these innovative activities. Guests can take pictures at the photo booth to stay “busy” while the bride, groom and wedding party are off taking photos with the photographer. The wedding party and couple can also visit the photo booth themselves after the professional shoot to take some fun and memorable photos with family and friends. Photo booths aren’t just a way to capture a moment, they also provide a favor or take-away item for guests, offer an interactive way to mingle with other guests, and serve as an excellent ice-breaker. Great for two families and a bunch of friends coming together at weddings, birthdays, anniversaries, engagement parties, holiday celebrations and much more. So whether you want a wedding photo booth, a birthday photo booth, an office party photo booth or a Portland, Oregon photo booth rental for any other occasion, SnapZone Photo Booth can help. Before you dive into planning, make sure to set a budget for yourself and know how much you have to spend. 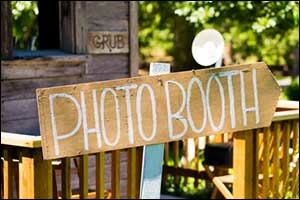 Include things like decorations, food, drinks, activities and, of course, the cost for a photo booth rental in Oregon. Make sure to ask about photo booth props and other extras when you rent a photo booth for your child’s birthday party in the Greater Portland area. If you are interested in learning more about how to rent a photo booth, please contact SnapZone Photo Booth at 503-207-2020. We can provide you with a FREE QUOTE, answer any questions you might have about photo booth rentals in Oregon or help you determine whether or not a birthday, office, holiday or wedding photo booth is right for your celebration. Call today and make sure to ask about our premium photo booth props and other options available for your Portland, Oregon photo booth rental.